Tony winners Hugh Jackman, Laurie Metcalf, Benj Pasek and Justin Paul were among the theater talent who earned Golden Globe Award nominations on the morning of December 11. Nominations were announced from the Beverly Hilton Hotel in Beverly Hills, California. Jackman was nominated for his performance in the upcoming P.T. 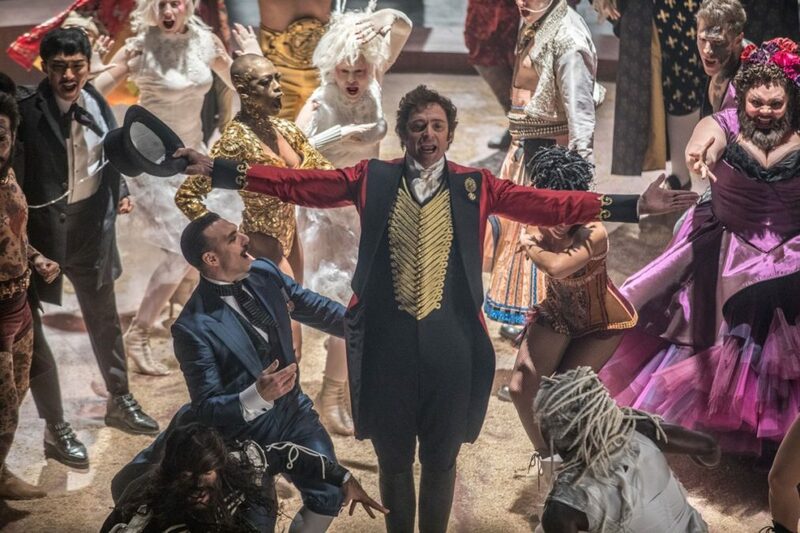 Barnum biopic The Greatest Showman. The highly anticipated movie musical was also nommed in the category of Best Motion Picture Musical, Comedy. Dear Evan Hansen songwriters Pasek and Paul were honored with a nomination for their song "This Is Me" from the film. Metcalf, a current Broadway.com Star of the Year nominee and the upcoming star of Three Tall Women, earned a Golden Globe nom for her performance in Lady Bird. Other Tony winners who earned nominations include Jessica Lange for Feud; Helen Mirren for The Leisure Seeker; Frances McDormand for Three Billboards Outside Ebbing, Missouri; Denzel Washington for Roman J. Israel, Esq. ; Judi Dench for Victoria and Abdul and Liev Schreiber for Ray Donovan. Tony winner and Charlie and the Chocolate Factory composer Marc Shaiman was nominated for co-writing the title song from The Star and Frozen composers Robert Lopez and Kristen Anderson-Lopez earned a nom for the song "Remember Me" from Coco. Newly anointed Golden Globe nominees also include Tony nominees Elisabeth Moss for The Handmaid's Tale; Allison Janney for I, Tonya; Tom Hanks for The Post; Meryl Streep for The Post; Michelle Williams for All the Money in the World; Jude Law for The Young Pope and Alfred Molina for Feud. A Bronx Tale co-director Robert De Niro was nominated for his performance in The Wizard of Lies; Tony-nominated playwright Martin McDonagh earned a nod as director of Three Billboards Outside Ebbing, Missouri; current West End theater star Christian Slater was nominated for Mr. Robot and upcoming Straight White Men star Armie Hammer was hat-tipped for Call Me by Your Name. The 2018 Golden Globe Awards will air live on January 7, 2018 at 8:00pm on NBC. For the full list of Golden Globe nominations, click here.